The Department of Nutrition at the University of Massachusetts Amherst is among the most comprehensive nutrition departments in New England, offering training at the bachelor’s, master’s, and doctoral level, along with dietetic internship experiences and off-campus outreach and education. Our program features award-winning faculty and personalized advising. The Department’s undergraduate program is accredited with the Academy of Nutrition and Dietetics (formerly the American Dietetic Association), ensuring that student achieve national standards of competency. Graduate offerings include the Master of Science (M.S.) and Master of Public Health (M.P.H.) in Nutrition, and the Ph.D. in Public Health with a Nutrition concentration, as well as a fully online MPH in Nutrition program. 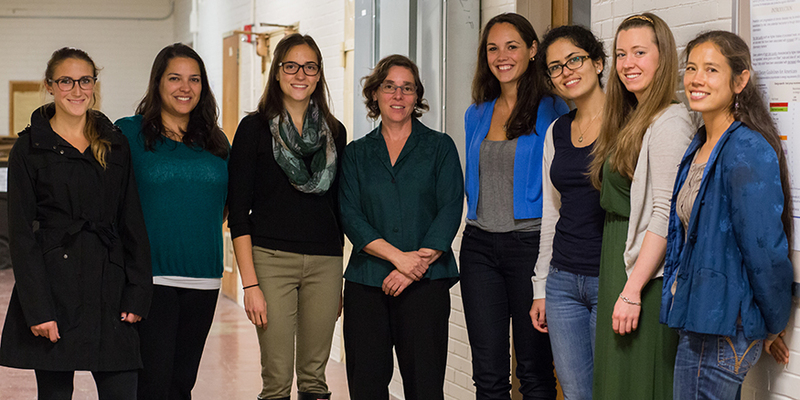 The majority of our graduate students receive teaching, research, or project assistantships. Postgraduate offerings include the Academy of Nutrition and Dietetics-accredited dietetic internship, a 10 1/2-month practical experience enabling interns to take the national registered dietitian examination. With faculty and support staff on and off campus, we offer a range of outreach programs for diverse learners, such as the UMass Extension Nutrition Education Program. Online learning is available for students and professionals nationally and internationally through UMassONE. Graduates from the Department’s programs hold diverse positions, providing nutrition education, research and assessment, as well as treatment in hospitals, clinics, businesses, community service programs, government agencies and universities throughout the world.